Our roundup this week is packed with informative nuggets, including how Beaconstac is enabling developers at the first Israeli iBeacon Hackathon, the reasons why mesh beacons are set to replace iBeacon, why geolocation is key to the next generation of apps, and how museums are using big data. We have also included a video that answers the frequently asked question on “How can beacons be leveraged to do more than push contextual notifications?”. So read away! Beacons, with their micro-location capabilities and their ability to bring the power of internet to everyday things have opened the doors to an endless world of opportunities. This weekend, our beacon-agnostic software platform will empower iOS developers at the first Israeli iBeacon Hackathon hosted by Zikit. Over 40 developers, 10 designers and 10 marketers have registered for this event collaborated by Estimote, iBeacon Israel, and Hubanana. The event will have iBeacon technology primer sessions, and workshops. This is one event that passionate iOS developers just can’t miss. Ubudu, a Paris based company is due to launch it’s first batch of mesh beacons called uBeacon Mesh, during the first part of next year. These devices turn the current generation of location-broadcasting beacons into a two-way, net-connected network, by utilizing the capabilities of version 4.1 of Bluetooth. Check out this article to learn how mesh beacons enable a world of new consumer experiences which wouldn’t be otherwise possible with conventional beacons. 3. 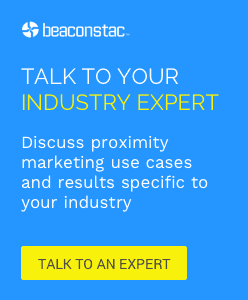 Are beacon networks the best way to kickstart your beacon strategy? Unaware of how to launch their own beacon campaigns, a number of brands are now turning to beacon ad networks. Of recent, there has been a lot of debate about whether such networks will destroy a developing industry. Check out this article to learn how beacon networks can cause brands to lose out on loyal customers. Beacons are not just a reboot of marketing spam. With their ability to serve up the right proximity content at the right time, these proximity-detection devices play a crucial role in the contextual puzzle. Watch this video to learn how Beacons can be leveraged to do much more than merely push contextual notifications. How to leverage beacons to create a rich contextual experience? All across U.S, museums are employing beacons to mine increasingly detailed information from visitors and make informed decisions on everything from exhibit design to donor outreach to gift-shop marketing strategies. However, the moves have got critics questioning whether the Big Data revolution, that is fast transforming American corporations, has a place in the arts world. Check out this article to learn how museums can use big data to enhance visitor experience. According to recent research, 86% of Americans now use their mobile phones for what is called ‘just-in-time information’. 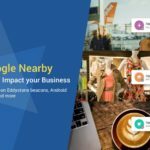 This opens up a world of on-the-go opportunities for creative marketers who are quickly becoming savvy about the geolocation. Check out this article to learn how marketers can use beacons to to deliver offers to consumers at the right point in the purchasing process.